What are the best new features of the New 2019 Honda HR-V? The Honda HR-V is perfect for drivers near Denver, CO in search of a subcompact crossover SUV that offers impressive efficiency and a number of high-tech and innovative features. The new 2019 Honda HR-V is coming soon to Planet Honda. Keep reading to learn more about the exciting new changes and features of the upcoming 2019 Honda HR-V! The 2019 Honda HR-V has undergone a number of changes, including the addition of the “Sport” and “Touring” trim levels. Each trim level offers drivers a unique set of standard and available features and options. Also new for the 2019 Honda HR-V is an upgraded Display Audio touchscreen infotainment system with Android Auto™ and Apple CarPlay™ smartphone connectivity. The new HR-V features a newly-available Real Time all-wheel-drive system and the recently-tweaked Continuously Variable Transmission as standard equipment. Additionally, the exterior has undergone a few alterations, giving a new athletic and sporty look thanks to LED headlights, new alloy wheels and a new grille. The interior of the HR-V still features the 2nd-Row Magic Seat® functionality that allows passengers versatility when configuring the cargo area. 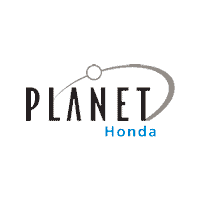 The Honda Sensing® suite of advanced safety technology is included as standard equipment across all trim levels of the 2019 Honda HR-V at Planet Honda. Learn more about the high-tech and innovative safety features of the Honda Sensing® suite! The 2019 Honda HR-V is expected to be available in dealerships on July 24. Follow our blog to learn when the new Honda HR-V rolls into Planet Honda. Schedule a test drive of a new model near Denver, CO today! 0 comment(s) so far on What are the best new features of the New 2019 Honda HR-V?